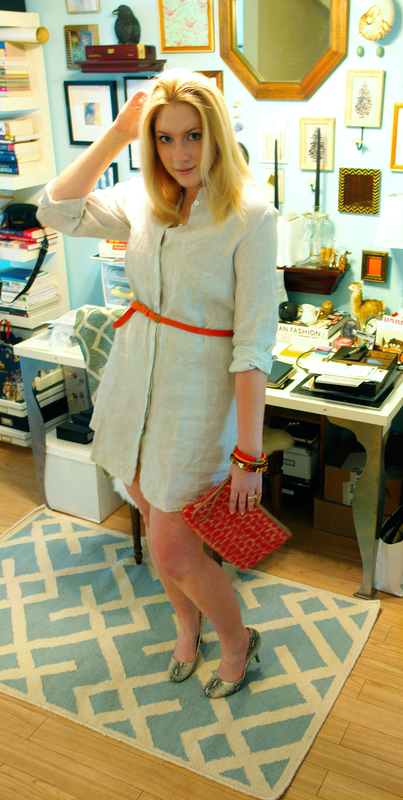 The onset of summer weather deems the day suitable for a cool linen shirtdress, belted with a bright skinny belt to oomph it up a bit! I'm still all about stacking bracelets, like these bangles (one of which is my newly beloved Ted Baker bowed bangle.) How do ya like the digs? 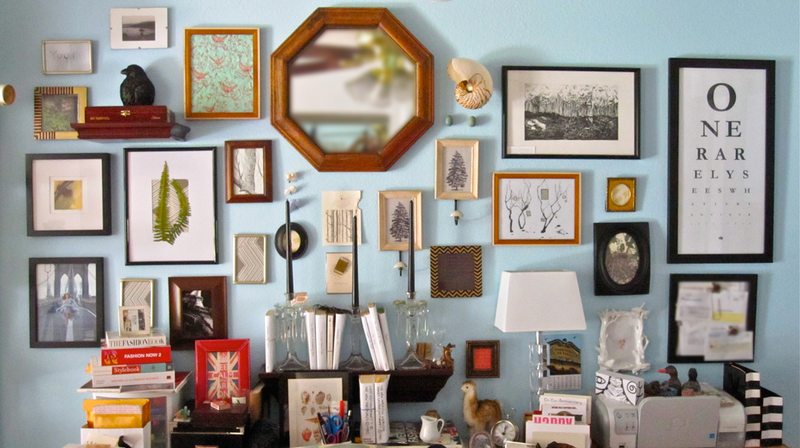 My salon wall is finally done in the office! 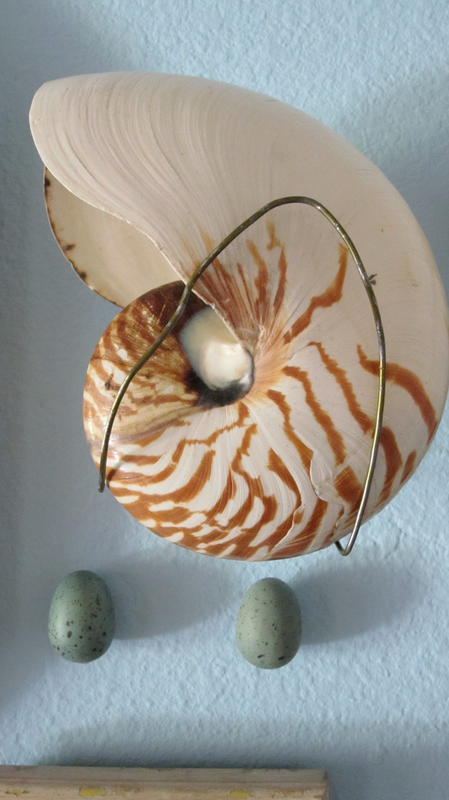 I'm specifically proud of my mounted nautilus shell and robins eggs.